Is this the right software for you? 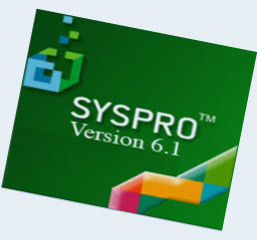 Every day thousands of people on six continents rely on SYSPRO for information, functionality and technology. Formed in 1978, SYSPRO has stood the test of time as a company and as a business solution for mid-size manufacturers and distributors. When customers buy SYSPRO software, they are buying a long-term relationship of ongoing creative and strategic collaboration. SYSPRO enterprise software is an integrated supply chain solution encompassing: ERP (Enterprise Resource Planning), Analytics, E-Commerce, CRM (Customer Relationship Management) and APS (Advanced Planning & Scheduling). The real-time, integrated approach makes the SYSPRO solution a firm foundation upon which to facilitate your decision making at all levels, paving the way to profits.